The hotel is located on the outskirts of the picturesque village of Bali, approx 250m from the sandy beach and less than a mile from the centre of the resort. As the hotel is built on a slight hillside, it is not recommended for people with walking difficulties. Reception, restaurant, bar, salon with terrace and TV corner, snack bar, freshwater swimming pool, sun terrace with sunbeds and umbrellas, tennis court, darts, mini golf, childrens pool and playground. No animation progamme. On the beach several water sports can be found as well as umbrellas and sunbeds at local charge. 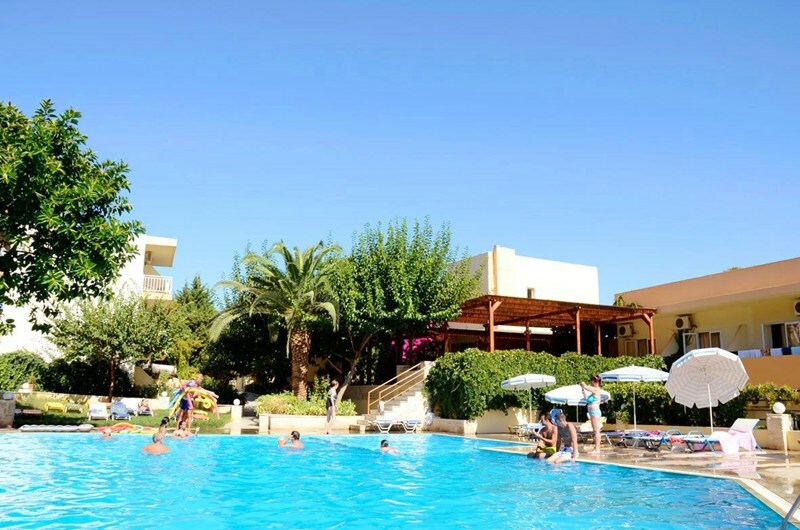 ALL INCLUSIVE Full board buffet style, snacks and ice cream by the pool bar from 11am to 5pm, coffee and cakes from 4pm to 5pm, local alcoholic and non-alcoholic drinks from 11am to midnight, tennis, minigolf, boccia, table tennis, archery.